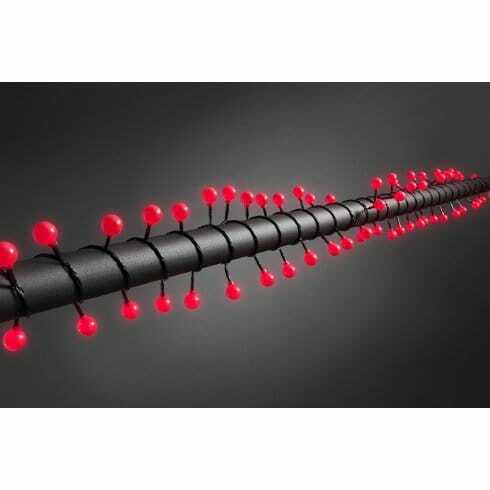 Konstsmide set of 80 red coloured cherry shaped LED lights with black cable. Suitable for indoor or outdoor use. Static lights which don't multi function. Ideal for Summer BBQ or Christmas trees alike.